Highs and Lows: January 2015's Best and Worst Movie! This year, we're going to add a new monthly series to our blog! We are going to bring you our picks for the #1 best and worst movie released between the first and last day of each month in 2015. We are excited about this as it will help us recap what we really liked and what we absolutely hated, and it will also let you know what film is worth spending your money on and what you should avoid entirely. Here are our picks for January! *January 2015's Best Release: "Paddington" - Vibrant, well written and completely fun, "Paddington" is a movie not just kids will love, but one that adults can enjoy and be immersed in, too. The cast is wonderful, the animation is tremendous, and the intricate details will leave you wanting more. A truly great film! Our rating: 9/10. 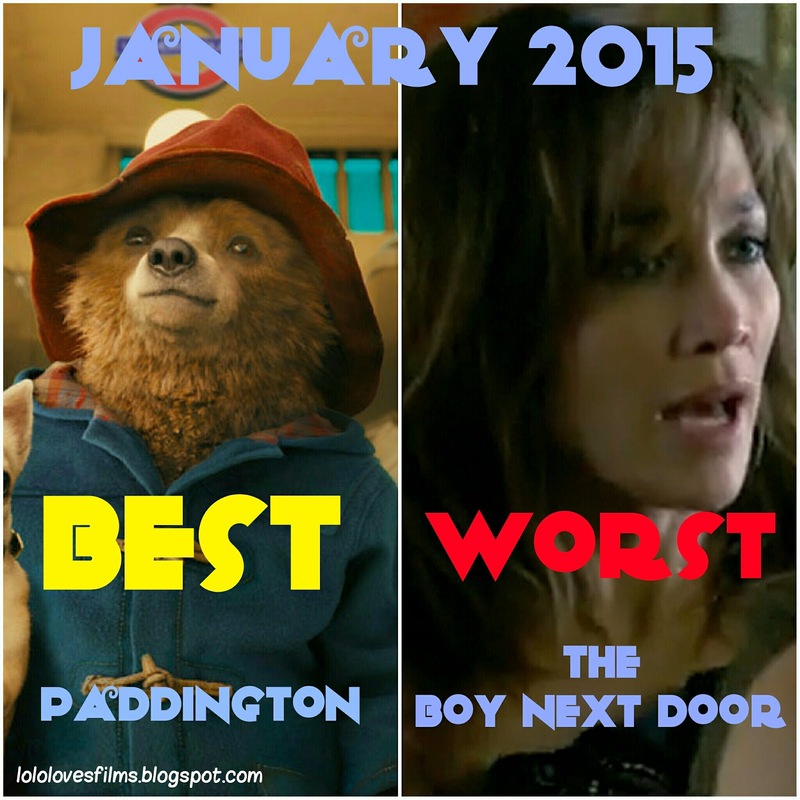 *January 2015's Worst Release: "The Boy Next Door" - We knew this movie would be bad, but this bad? It has become the new standard in awfulness when reviewing the movies we see. Beyond the fact that the trailer is misleading and that no crime was actually committed by Jennifer Lopez, "The Boy Next Door" moves along its unbelievably horrible plot full of useless, atrocious dialogue, riddled with holes and terrible acting and a completely piss-poor amount of editing. This movie redefines the phrase "stink bomb." Our rating: 1/10. I figured Boy Next Door would be terrible. Is it even MST3K worthy?? Tough question! It is definitely eye-rollingly bad and cheesy enough to warrant an MST3K, but would they want to stoop so low to make an MST3K about it? Lol!